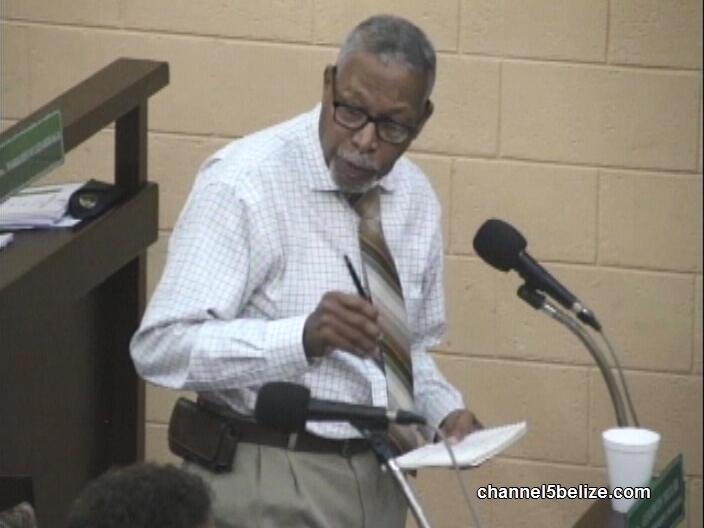 In our coverage of today's House Meeting - you've already seen all the stuff the members argued about - but one thing they did agree on was the 17 million dollar loan guarantee for the South Ambergris Caye Water and Sewerage Expansion project. If you don't live on the island - you might now know it, but San Pedro has serious water shortages - especially during peak visitor periods such as Easter. The loan fund from the CDB will be for BWSL to buy over the island's water company - Consolidated Water Belize Limited and upgrade the water supply. "This will benefit tremendously the residents of the Ambergris Caye. We have in the galleries the chairman of the Belize Water Services Ltd. of Belize and the Chairman assures me, madam speaker, that there is a lot that is being spent right now. And the Belizean people must know that the consolidated company, Consolidated Water Ltd, is a private entity now and it charges the BWSL a significant amount of money to provide water and sewage services to the residents of Ambergris Caye. I am told it is about $600 thousand on a monthly basis, madam speaker. Imagine when the BWSL, which is owned by the government, owns now this water system and in fact improves the water system. Every good Belizean knows, especially around Easter time when you go to San Pedro you have to be rationing off the water because the capacity of the water system there is not able to hold all the desires. You can't shower every day, you have to shower every other day; around Easter time in San Pedro. But with the kind of investments that this loan will make for BWSL, madam speaker, the people of the entire Ambergris Caye, I am told, will benefit." The loan is being undertaken by BWS with Government as the Guarantor. The CDB funded Belize Water Services Limited Loan for 8.5 million US dollars is to purchase the shares of Consolidated Water Belize Limited, expand the existing water treatment plant; retrofit the San Pedro water and sewage system; supply and install water distribution pipelines; water transmission mains; sewage collection pipelines; water service connections; and sewer connections; and supply and installation of a 41 kilowatt photovoltaic generation system. And though this loan motion had support of the Government and the Opposition, there was still organized chaos in the House. 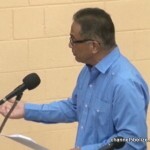 Leader of the opposition John Briceno: “Santa Elena and San Ignacio only have 12 fire hydrants, Benque Viejo has none. Speaker: “We are debating yes it is a point of interest madam Speaker, we are debating a bill whereas BWSL is getting money’s, getting loan funds and this leader of the opposition is saying how he believe those loan funds can be better utilized or expanded, how is that not relevant. 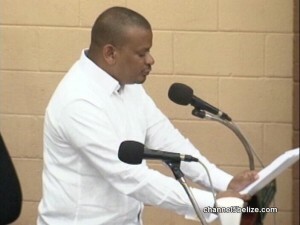 Acting prime Minister: Madam Speaker it is not relevant because BWSL is getting the loan for a particular and specific purpose which is to improve the water system in Ambergris Caye. If they want to raise a point about fire hydrants that can be done at a later date. Madam Speaker: Yes thank you acting Prime Minister, Honorable Opposition Leader kindly proceed with the actual debate. 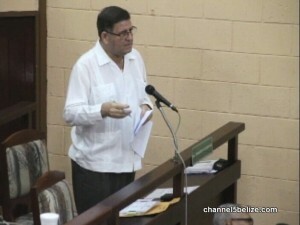 Opposition leader: “But to make the point the honorable member from Belmopan said with NEWCO they use the tax as a strategy to force them to come to the negotiating table. This could be a strategy we are given the support but they offer Fire Hydrants for the country of Belize, what is so difficult about that. A loan for roughly seventeen million Belize dollars is being guaranteed by government for Belize Water Services Limited to acquire shares in Consolidated Water Belize Limited in San Pedro. The privately held utility company on Ambergris Caye will be bought by BWSL and its system expanded to provide potable water, as well as sewerage, to residents on the island. The move comes after years of complaints by consumers of a shortage of water on the island during peak seasons of the year. Today, Acting Prime Minister Patrick Faber introduced a motion in the house which will trigger the acquisition of the company. That motion was agreed to by Leader of the Opposition John Briceño who also raised concerns about fire hydrants in places such as San Pedro and Orange Walk towns. 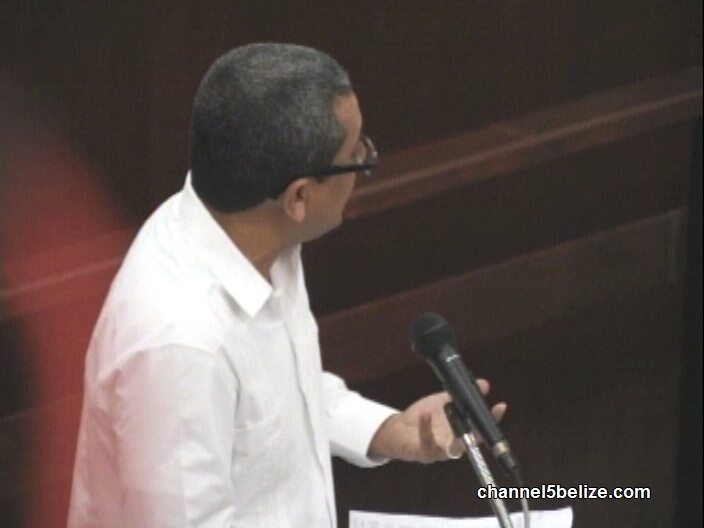 Also today, Senators debated a loan for the Water and Sewerage Expansion in South Ambergris Caye Project. 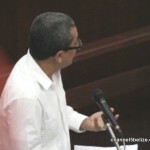 The loan is being provided by the Caribbean Development Bank and is for eight point five million dollars. The purpose of the loan is to purchase the shares of Consolidated Water Belize Limited, expand the existing water treatment plant, retrofit the San Pedro water and sewage system and supply and install water distribution pipelines. The monies will also be used for other infrastructural improvements. A few senators voiced their support for the loan with a few reservations. “I understand from different people on the island that I spoke to that CWBL has not met its capacity. It could very well be that expansion is probably not needed. I stand to be corrected. It could be a case of distribution. I would have preferred to see more of the funds invested in infrastructure and the sewage system because I understand that probably close to ninety percent of properties in San Pedro still use septic tanks. That is a major concern. Cayman utility company Consolidated Water may be selling its operations in Belize due in major part to difficulties the company has experienced in repatriating profits from there, according to filings with the United States Securities and Exchange Commission. Consolidated Water – which is headquartered in Cayman and also operates in Belize, the British Virgin Islands, the Bahamas and Indonesia – has explained in public filings that repatriating profits requires the approval of the Central Bank of Belize, and is dependent on the amount of U.S. dollars available to Belize banks to execute such transfers. The difficulties in repatriating profits from Belize have apparently reached a tipping point for Consolidated Water, as the company has entered a non-binding memorandum of understanding with Belize Water Services Ltd. to sell all of its shares – under the condition that Belize Water Services helps facilitate the conversion to U.S. dollars so that Consolidated Water can repatriate all the cash it holds in that country. Because of this agreement, Consolidated Water has been able to repatriate US$2.75 million in cash from Belize to its bank accounts in the Cayman Islands over the past three months, representing a marked increase in the amount of cash that the company has been able to transfer from its accounts in Belize in recent years, according to Consolidated Water CEO Rick McTaggart. While the transaction between Consolidated Water and Belize Water Services has not been finalized, it appears to be getting closer to that point. 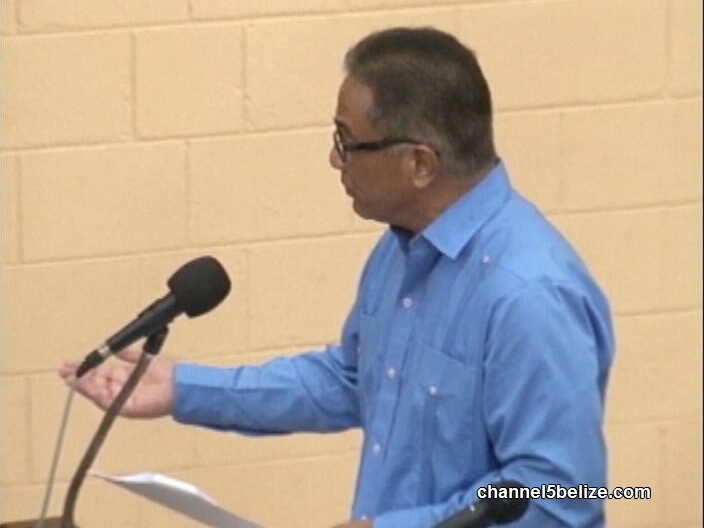 An Oct. 1 report from Channel 5 Belize states that the country’s government has approved a sovereign guaranty for a proposed loan from the Caribbean Development Bank of $17 million Belize dollars (US$8.5 million) to, among other things, acquire all the shares of Consolidated Water’s Belize operations. Consolidated Water Co. Ltd, a leading developer and operator of seawater desalination plants, has clarified recent news reports from Belize that stated that the House of Representatives of Belize approved a sovereign guaranty for a proposed loan from the Caribbean Development Bank of BZ$17 million (US$8.5 million) to enable Belize Water Services Ltd to acquire all of the shares of Consolidated Water (Belize) Limited and to expand its water treatment plant, retrofit the San Pedro water and sewerage system and make other improvements to the country’s water distribution network. 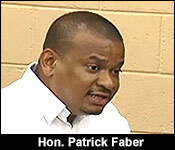 One of these reports further stated that the “acting prime minister Patrick Faber introduced a motion in the house which will trigger the acquisition of the company (meaning CW-Belize)”. Consolidated Water, which is headquartered in the Cayman Islands, develops and operates seawater desalination plants and water distribution systems in areas of the world where naturally occurring supplies of potable water are scarce. The company operates water production and/or distribution facilities regionally in the Cayman Islands, Belize, the British Virgin Islands and The Bahamas. Last edited by Marty; 10/10/18 04:53 AM. The Board of Directors of the Caribbean Development Bank (CDB) has approved funding of US$8.7 million to the Belize Water Services (BWS), to improve the supply of potable water on Ambergris Caye. 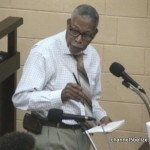 “Supporting economic development on Ambergris Caye requires the provision of safe, affordable, potable water. Through this project, the BWS will be able to expand water production systems on the island, leading to fewer water shortages. We note the potential of this project not only to provide costs savings to BWS but also to boost tourism activity in the area,” said Daniel Best, Director of Projects, CDB. Additional project components include the installation of a solar energy system at the San Pedro water treatment site, which will allow BWS to save approximately 37 percent of the current electricity cost for this site. The funding will also support the development of a Gender Policy and Operational Strategy for Human Resource Management at BWS, which will cover areas such as recruitment, retention, and training and development, to improve gender equality in the workplace. <#> A final component of the project will cover technical assistance to improve communication and public education, and stakeholder education. This will assist BWS in developing methods to improve customer outreach, and engage stakeholders at every project stage.